There are no squirrels in the parks of Buenos Aires, Argentina, but there are cats. In the Botanical Garden, feral cats wander freely. They lounge here and there. 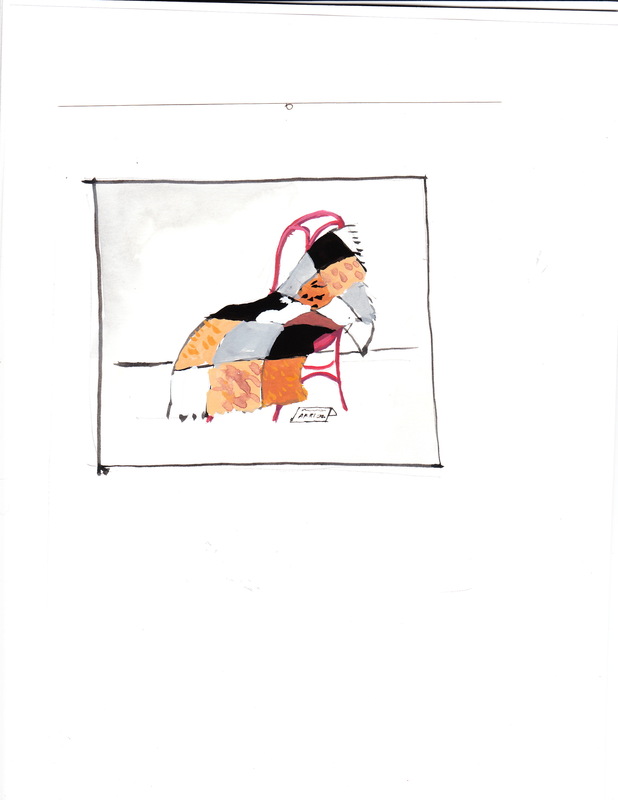 Cats in sunlight soak up the warmth on a June day (which is winter there), like the old men sitting on the benches. A black and white cat rounds the corner. 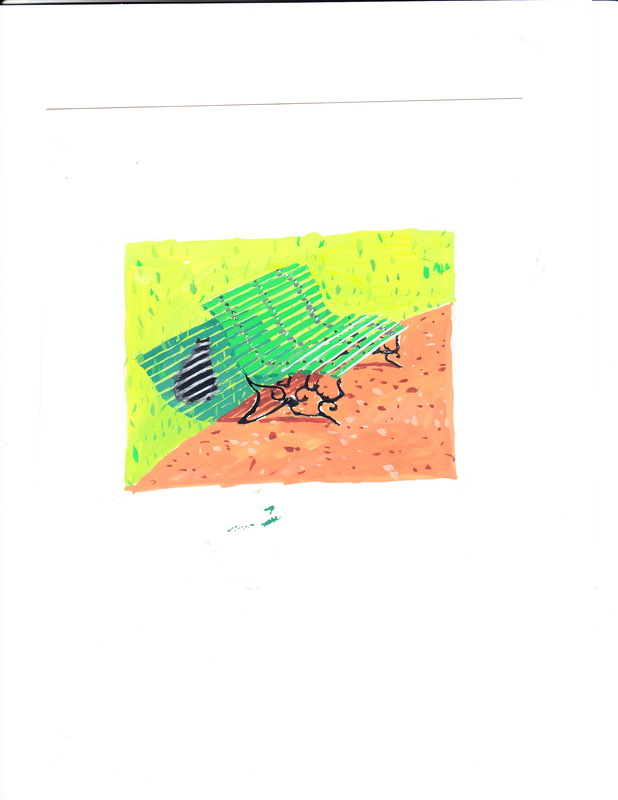 Cats crouch under bushes. A girl stoops to pet one. 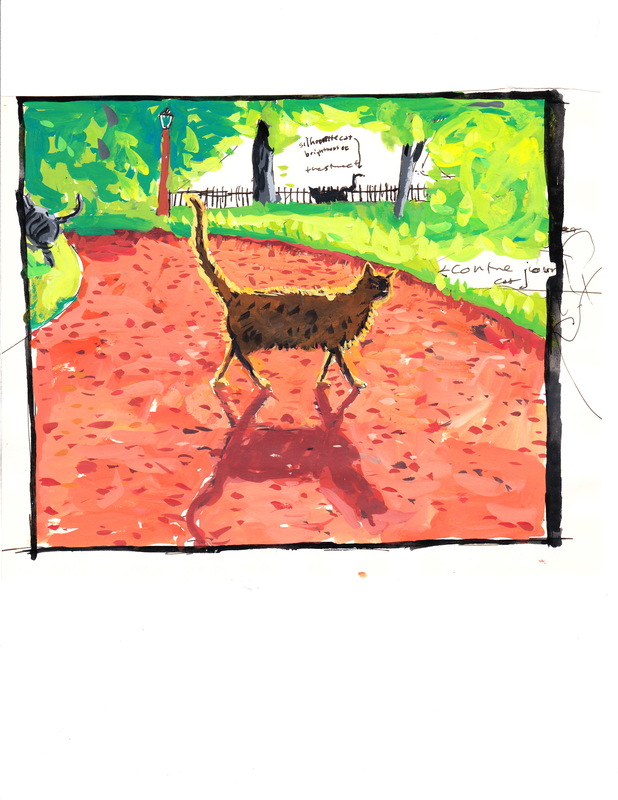 A brown and black cat crosses the reddish gravel path. The sunlight behind him gives him a golden outline: The French word for this kind of light, one of my favorite kinds of light, is “contre jour,” which means “against the day.” (I like the words for it, too.) It’s different than the “silhouette” (uniform black shape) cat that is further away, looking through the fence at the brightness of the street. A cat pauses behind a park bench, and is striped with the sunlight and shadow. 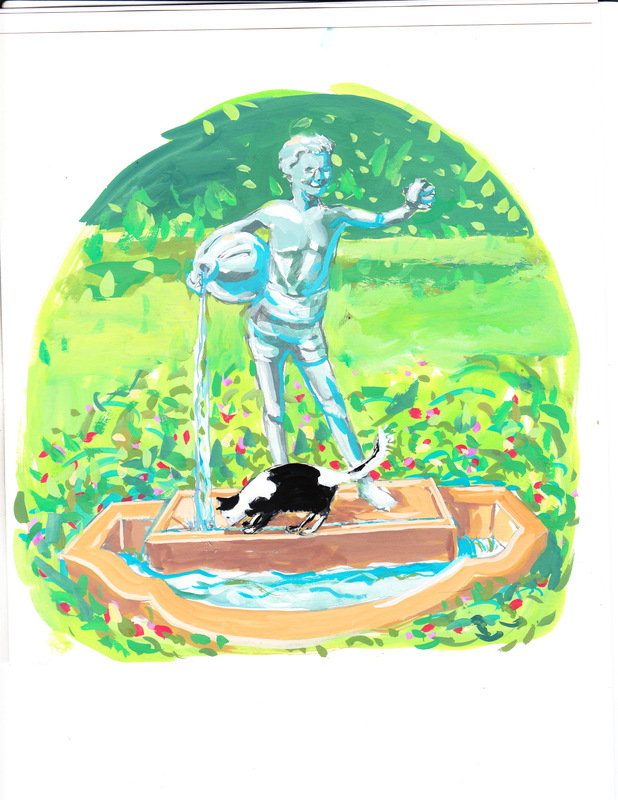 A sculpture of a boy holding a jug that spills water — it’s a fountain — makes sure the cats don’t go thirsty. fur quilt — from Africa? Across the street, a shop window displays a patchwork fur blanket. A small card says it is made of furs from Africa. I’m not totally convinced. *Residents of Buenos Aires call themselves “Portenos,” with a tilde over the n.